U.S.S. 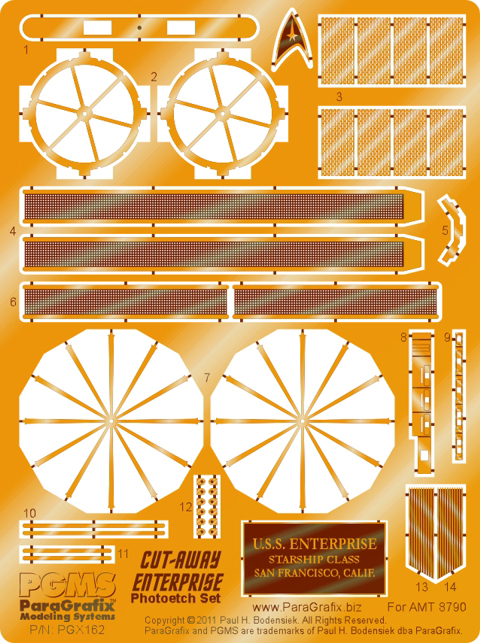 ENTERPRISE (JJPrise) Photo etch for the 1/500 scale Revell #04882 model kit by GREEN STRAWBERRY. INCLUDES RESIN SHUTTLE CRAFT!! DANUBE TYPE SHUTTLE in 1400 Scale by GREEN STRAWBERRY with Decals.